« Bidding a garden rototilling job. 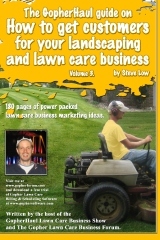 We all dream that some lawn care marketing message we send out is going to be the golden ticket to more mowing accounts. More often than not, it seems not to happen. But ever once in a while, it does. 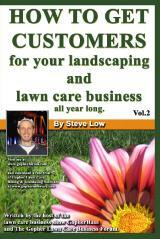 Then what do you do when you are flooded with 150 new mowing accounts? 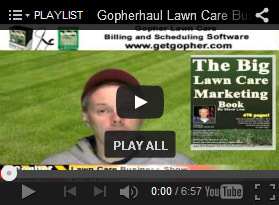 That’s just what happened to this entrepreneur from the Gopher Lawn Care Business Forum. Read on to see what he did to handle it. 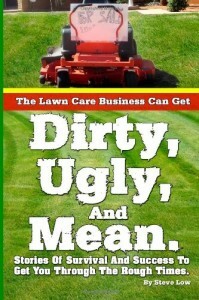 One lawn care business owner wrote “I just shot myself in the foot!! I may need to drop all 16 of my new mowing accounts to pick up this new H.O.A. with 150 homes, 4 large common areas, and a clubhouse, all of which are full service. 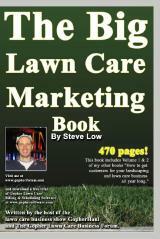 I just picked up 16 lawn mowing accounts in the past 3 weeks using targeted phone calling and door hangers. 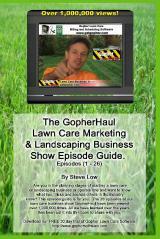 In a hurry to pick up more customers I had an awesome marketing idea and IT WORKED toooo well! Now I’m in a fix, I never thought I would get the results I have gotten….what to do well… here are my options. 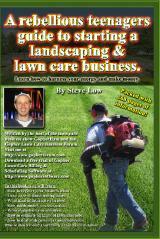 Drop all 16 of my new mowing customers. Not take on the H.O.A. 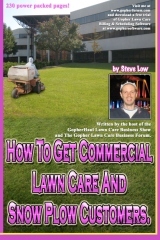 mowing contract. Sub out the 16 homes for a term…I know a guy that might be interested in it. I have the funds to take the leap… but if I fall…I’m not sure I can get back up. In my gut I feel it’s to soon to expand but that’s just me. 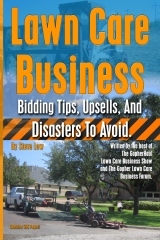 A second lawn care business owner wrote “I would try to do both and I would not give up the new accounts either because that would tarnish your name. Keep in mind that these hoa’s are about as reliable as a wet Chinese firecracker. Next year someone comes along and beats your price and you are out the door. 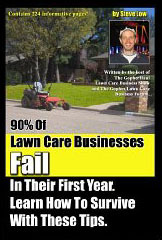 I personally think it is good luck to take on a ton of work because for some strange reason it is always feast or famine, you either are struggling to get new lawn care work or you have more than you can handle and the way it always turns out, the work and money always come when you really don’t want it. As soon as you bite the hand that feeds you, the karma work gods kick you in the tail. So I say, run with it and run as fast as you can and never look back and make it while you can and don’t look at it as a problem but as a blessing. In these times we live in today there are plenty of guys begging and wishing for the same opportunity. 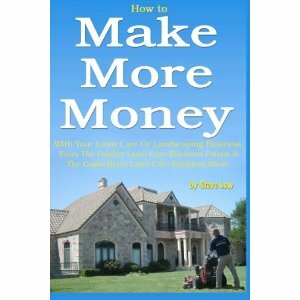 A third shared “Obviously, you have found what makes you the most money and that is sales. I say if you have the funds then go for it. Hire one good guy as the supervisor and two helpers. 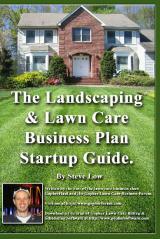 After all the advice given, the business owner wrote “I think the H.O.A will take 5 full days with 3 men to mow, trim, edge, etc. The other 16 residential clients are all on the same street and take 1.5 days for me to mow alone. I’m going to hire 3 men, 1 is my brother who I can trust. On Monday’s, 2 men will do the street with the 16 homes. 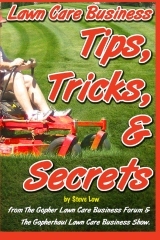 The other 2 will begin mowing a section of the H.O.A. (common grounds) 2 men can do this section in one day. Tuesday we will all be together I bet we can be done by Friday…if not, we finish on Sat…I called my contact to the H.O.A and she said that Sat work was fine if needed. 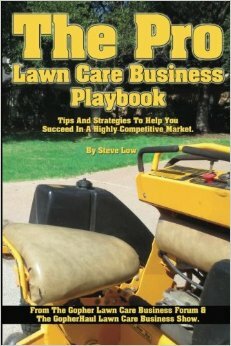 This entry was posted on Friday, December 2nd, 2016 at 3:59 pm	and is filed under Growth, How to get, Lawn Care Business, Lawn Care Customers, Lawn Care Employees, Marketing, Residential Customers. You can follow any responses to this entry through the RSS 2.0 feed. You can leave a response, or trackback from your own site.